"RICHARD DUKE - Worked in London. 1750-1780. Fairly prolific maker of instruments. many of them being really fine-toned. A great number bearing his name are falsely attributed to him, and these (generally of a cheap and meretricious order) have lowered his reputation. If his well-known authenticated instruments were the only ones in use, he would be regarded as one of the best, if not the finest, of our old native makers. Perhaps more than any other the name of Duke has been subjected to wholesale forgery. At one time nearly every wretchedly made nondescript fiddle was a counterfeit Duke. German factory fiddles. in thousands, have the name branded or placed in a kind of scaling wax impression. There are plentiful genuine Dukes and the fortunate possessors of well preserved specimens rightly prize them, particularly American connoisseurs and violinists. He exercised a powerful influence. not only on contemporaries, but on those who immediately followed. His work, though not of the genius order, shows he possessed no small amount of imagination. Had great fame in and about 1752 because he made the best imitations of the Stainer model. and that model was then the ruling idol. Later he largely restricted himself to a modified Amati model, but very occasionally ventured on the long Strad. Experts have always had considerable diversity of opinion relative to which model should be placed on the higher plane. Some claim superiority for the Stainer. 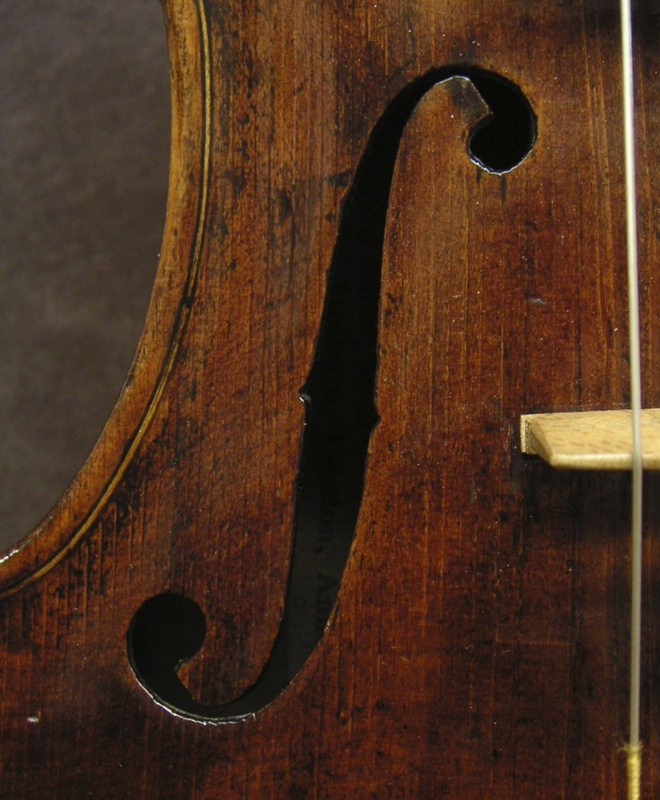 others for the Amati, and one or two give preference for the few and scarce Stradivarius modeling. 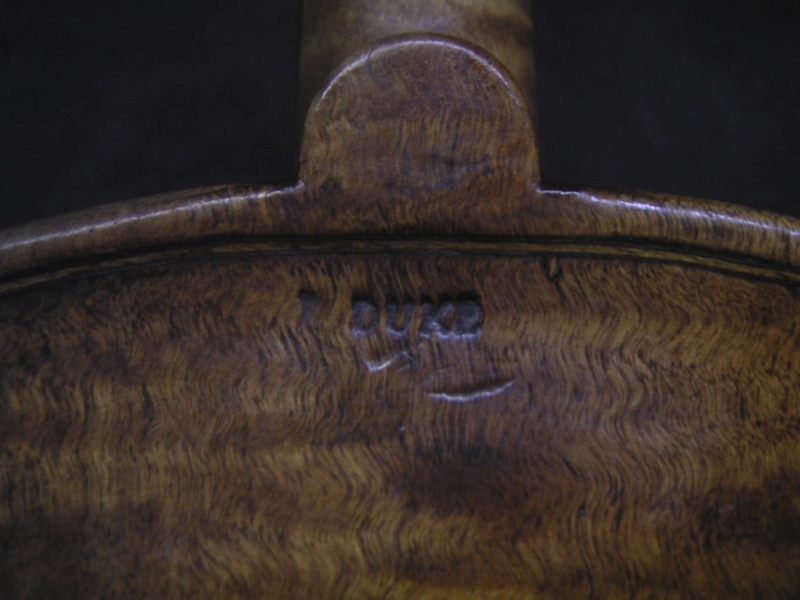 Stainer models have an Italian type of scroll, turn of the volute being somewhat similar to the procedure of the early Amatese. Except for this, his instruments are generally excellent replicas of the smaller Stainer characteristics, though some connoisseurs frequently pronounce the arching to be overdone. 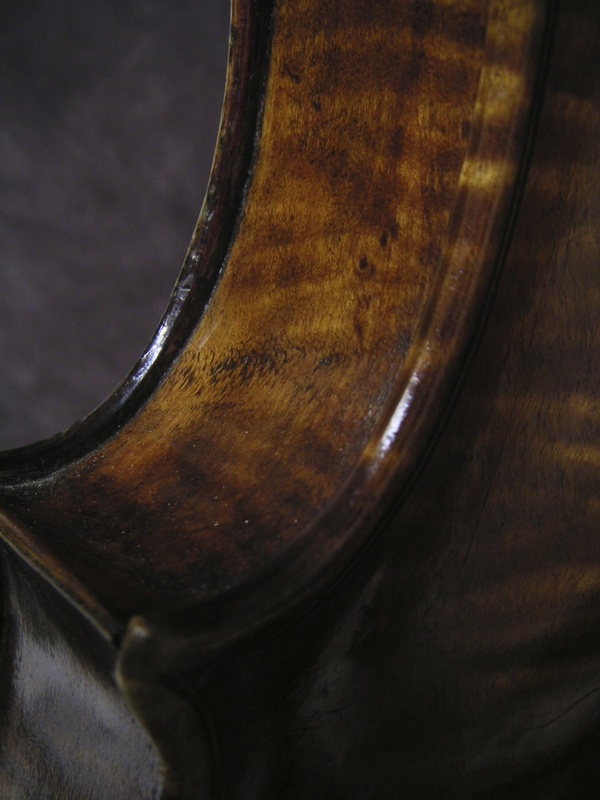 Amati imitations are certainly tinged with Tyrolese character. the sound-holes in particular differing but slightly from those he gives to the Stainer modeling. General contour of the two models is prominent arching with emphasized longitudinal proportions rather than of width. Scrolls always well worked, grooves at the back being gracefully and harmoniously cut out, and not too deeply. Edges superbly curved, this is mare particularly observed at the back than at the front as the latter, being of softer wood also meets with more severe contact and usage. Ribs never deep. Margins small all round the outline. Sound-holes perhaps rather small, but never deviate from acceptable prettiness, circles of upper turns smaller than the lower ones. Edges of the wings cut square. 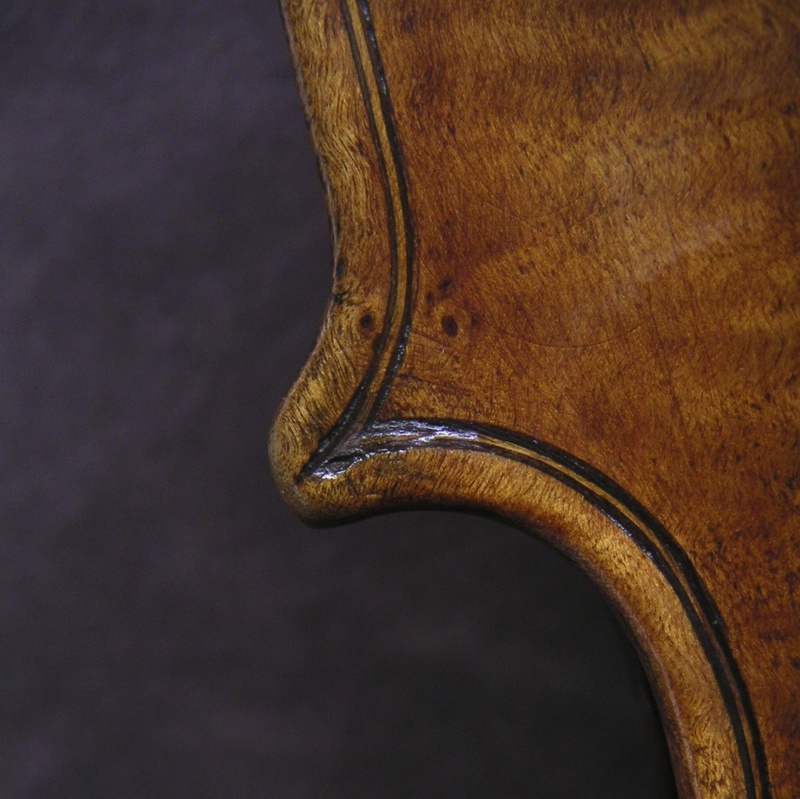 The wood always acoustically excellent, material for the backs frequently without flame, but sometimes the ribs are of rather pretty material, though this is often hidden by the varnish. This varnish is mostly of a fairly soft red brown shade, not splendidly transparent and having but a modicum of fire in its depths. Sometimes used a dull brown preparation of poor surface, which obscures the fibers of the wood. Also a few specimens varnished in a kind of dark yellow. 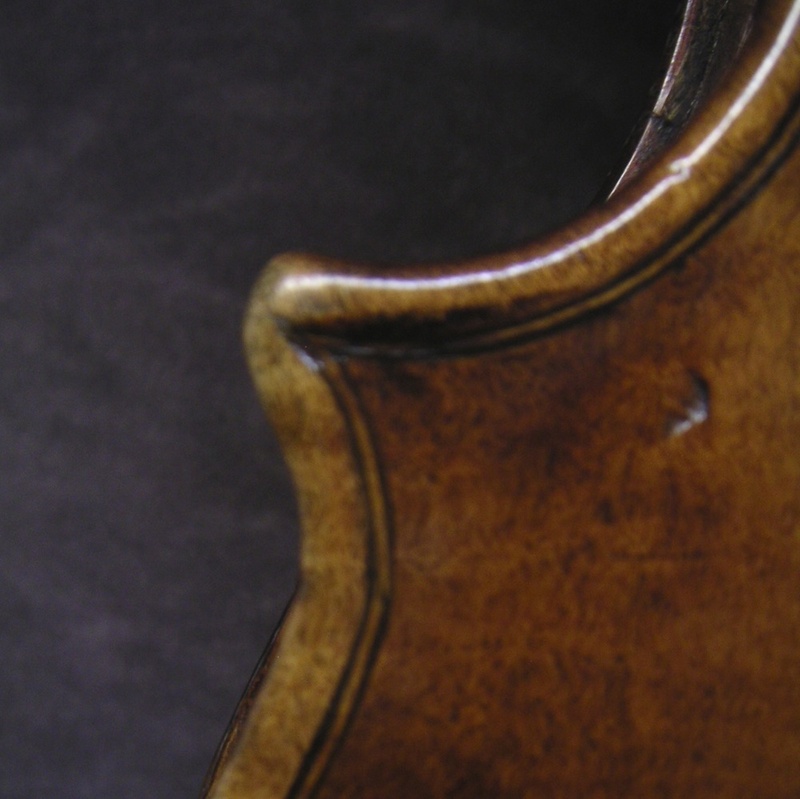 There are two outstanding examples of his belonging to the long Stradivarius model, One dated 1770 from Gloucester Place, Holborn (written label), had the high figure of £50 attached to it, and was reputed to be quite unique in structure. 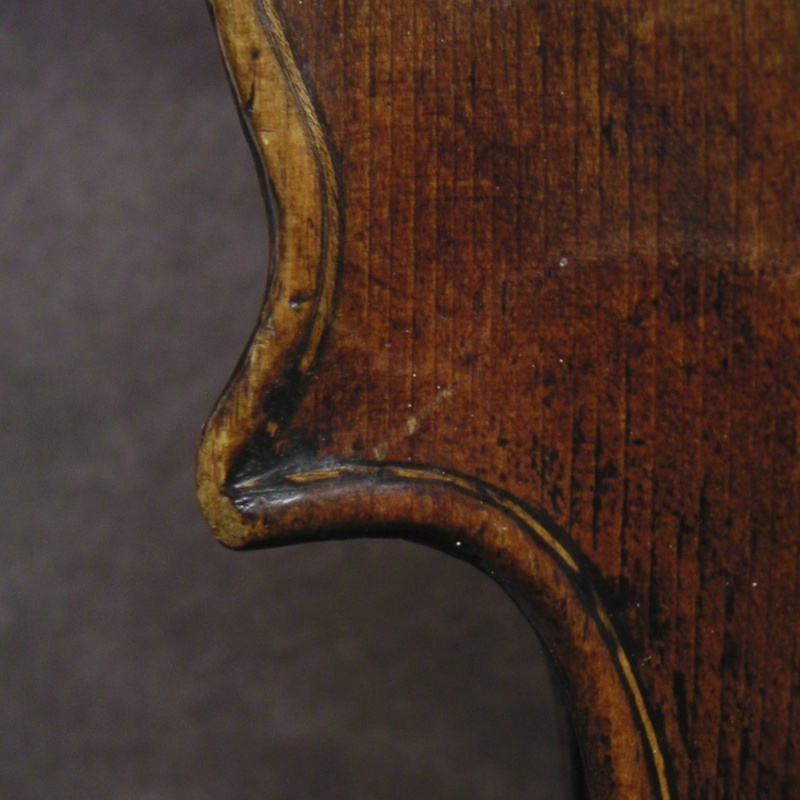 The other, dated 1768, was reported on by Towry Piper in the "Strad Magazine" and gave the following measurements: body length, 14i inches upper bouts, 6.3/16 full lower, 7i ribs, 1.3/16 inches bare to full. Violas not always of the full size invariably required by professional players. The few that have these required proportions are very rich in tone. Medium arching of fine graduation. Frequently one-piece backs. He did however make many violas of shorter length and greater width, which are neither attractive- looking or of much consequence tonally. His original aim was for deep tone, but his calculations went astray though this is somewhat compensated for by an additional brightness. 'Cellos very rare. 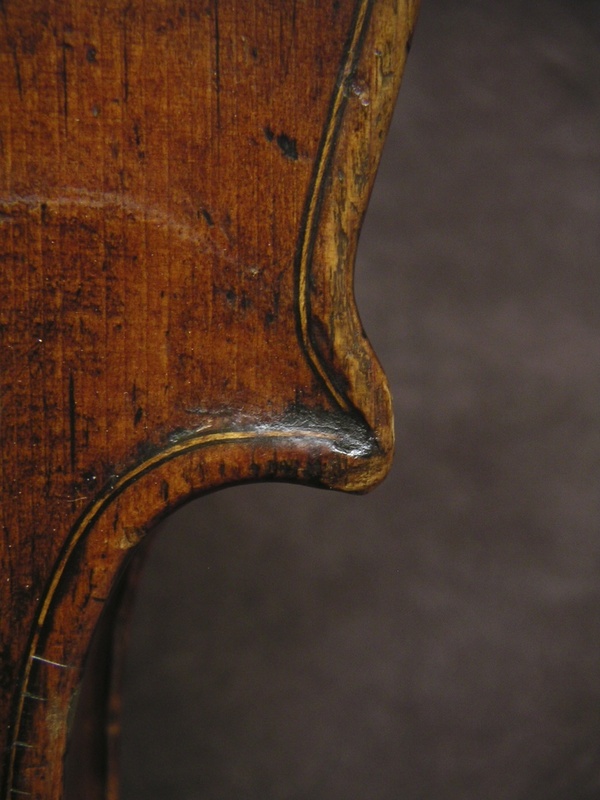 Generally of long pattern, greatly arched, yellow varnish, frequently too thin in the wood. Tone very mellow but lacks power and brilliance. 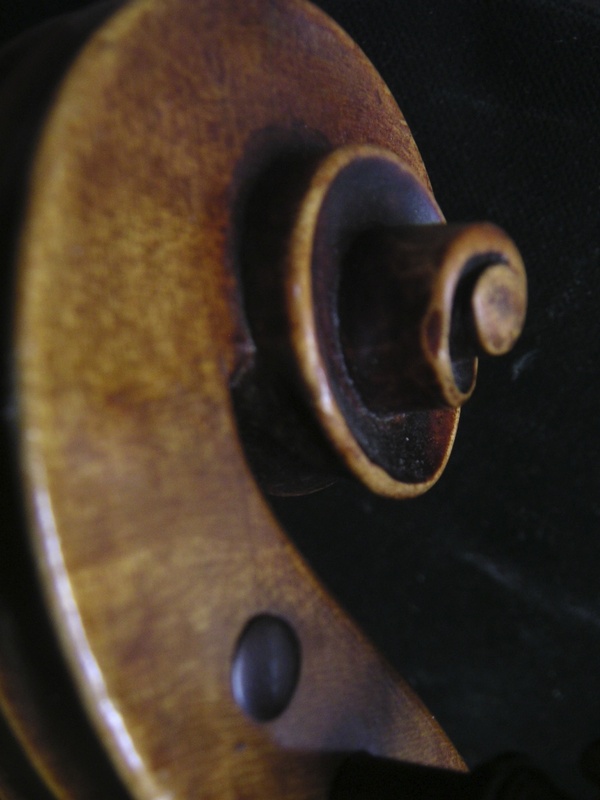 It is said that now and then, Duke inserted Amati and Stradivarius labels in his instruments....."